Is there a way to set the short answer widget to allow participants to go through the exercise of typing an answer, but with the qualification being having typed at least 5 words or something like that? I'd like students to go through the exercise of typing out an answer, but don't need to evaluate the content. Hi Ali! There's no way to set a minimum word limit on the short answer widget. You can decide which keywords will automatically mark the answer as correct by going to "setup" in the widget and typing the word into the section titled "Automatic evaluation - correct if text entered matches any of the following conditions"
If you would not like these questions to be graded at all, simply click the "x" on the right side of the automatic evaluation section to remove grading criteria. If you do not want this section to count towards progress, you can click on "completion tracking" at the top of the widget and choose "no completion tracking". You can also choose "completed upon any interaction" if you'd like it to count towards progress without the answer having to be correct. Omnaya Omar Thank you for your response! I have removed all of the automatic evaluation criteria options, but when a response is put it, still displays it as incorrect. I'd like to keep as required to fill out/interact. Ali Schuler That link takes me to your course setup > contents page. Could you let me know which page in your course you set up the widget with no response criteria? Ali Schuler Thank you Ali! Hm, it seems that your best option for this specific question would be to replace the Short Answer widget with a Post Text widget. 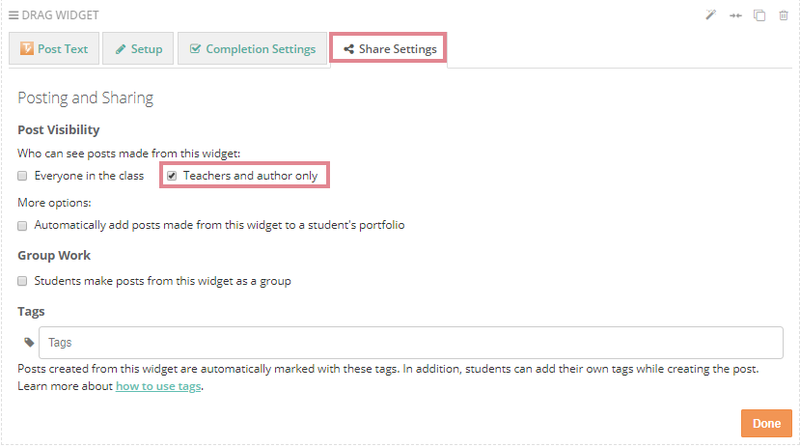 This way, students can simply post their thoughts without any sort of grading pop-ups. Would this work for you? Omnaya Omar Hmmm. I'd like to keep the text they post private. Also, I don't like the format of the post text for this portion of the training due to the fact that students have to post text and then also comment on it. The comments are optional, and the students can proceede without posting one.